Sheboygan - The red carpet will roll out for Sheboygan-based business, Olivü 426. 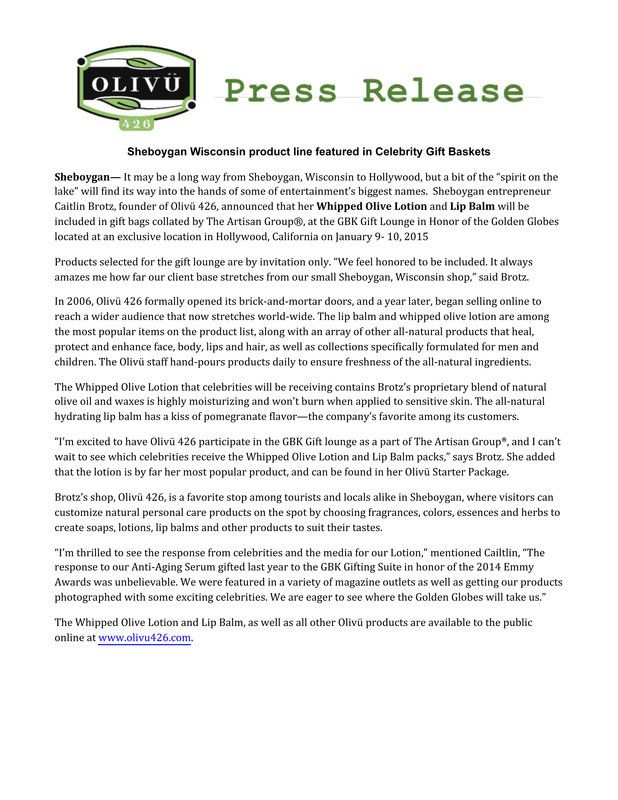 The natural skin car company located in downtown Sheboygan will participate in an invitation-only luxury celebrity gift lounge on April 8-9, 2016. The MTV Movie Awards will air on April 10th at the Warner Brothers Studios in Burbank, California. The Warner Brothers Studios will serve as its venue, the first in over 21 years. Our customers can buy the same products some of Hollywood’s hottest entertainers and actors will be gifted. To view the kit we are sending, the "I want to be in Movies" kit, click here. It might be the best kept secret of Sheboygan. All natural, beauty in a bottle. Now these "home grown" products are Hollywood bound. The dream of a local entrepreneur will soon be in the hands of Hollywood's elite. A little piece of Sheboygan is part of the glitz and glamour of this year's Emmy Awards. Inside this small storefront cool things are happening. Peyton Lenarz is making lip balm. From start to finish it's her own creation. "You can kind of pick what you want it to look like and pick what you want it to smell like." Unique, down to the label. And lip balm is where this all started for the owner of Olivu 426. "I became the lip balm girl, and everywhere I went I had to carry lip balms with me," Caitlin Brotz told us. She stumbled into her dream through tragedy. In 2003 her boyfriend, at the time, was badly burned. To help him heal Caitlin whipped up a batch of chemical free lip balm. "I ended up with about 500 life times supplies of lip balm, and a girl loves lip balm but I was like 'what am I going to do with all these quarts of lip balm?' "
She gave it away to friends. Soon they were making special orders asking her to add herbs, a certain fragrance. "I thought to myself 'wow this is really fun but it would be even better if they could make it themselves.' "
And that's now the concept behind Olivu 426. Let customers make some of the all-natural beauty products like soap. Everything in this store, located in the Harbor Centre district downtown Sheboygan, is natural and good for your skin. And now the word is out about Olivu. Two of Caitlin's products will be in the star's Emmy swag bags. Lip balm, of course, and a customer favorite, anti-aging face serum. Made from pomegranate, blueberry, blackberry seeds and rose hip. "It just instantly has the ability to make you have that glow we all crave. For $12 for a one month supply I think it will take Hollywood by storm," Caitlin said. She packed up the products a few weeks ago and is now celebrating the store's own "red carpet" specials ahead of the Emmys. Caitlin is glad to also be sharing her passion with the stars something she says she never saw coming in the future of her business. When she opened 7 years ago Caitlin started with 5 products. She's now selling more than 120. Her commitment to the community is the same, to keep her products affordable. Between the sweetly fragrant entryway and its chemistry-set kitchen, Olivu 426 has a small spot for its history. In the midst of the do-it-yourself beauty products boutique sits several old rolls of lip balm that owner Caitlin Brotz started selling when she started. While the origins of the Sheboygan-based store were as small as the box, the future she hoped for is certainly bigger than she anticipated, culminating with her products being featured Monday night at the Emmys in Los Angeles. Brotz seems both delighted and frazzled. Customers are already here at 10 a.m. – before the store opens – making their own lip balms and soaps. Brotz, who moves between shipments addressed to Wisconsin and Connecticut, notes that sales are three-times as high as normal. "And it's not even Christmas season yet," Brotz adds with a smile. Brotz — whose business sells natural and customizable lip balms, soaps, lotions and other cosmetics — has reason to smile considering how she got here. Her boyfriend at the time, Adam, was a semi-professional snowmobile racer who had been burned in an accident. When Brotz was told that conventional lip balms and lotions would slow healing, Brotz took a recipe for lip balm from a therapist and made her own batch. When she was left with an excess of lip balm, she went about giving them away. Brotz has a business degree from Lakeland College and had a family with history in entrepreneurship – her grandfather ran Plastics Engineering Company, PlenCo, in Sheboygan. So it was perhaps natural that the hobby became a business. Tragically, Adam died in 2005 as a result of a car crash before a competition in Colorado. Brotz took some time to reflect and went to Texas with family. While there, she got a certificate in entrepreneurship and decided to head back home to Sheboygan to start her business in full. Brotz said the business name — which includes Adam's racing number — is a reminder of his hopes and dreams and the need to seek out her own. "It was really important for me to carry that 426 forward," Brotz said. "Not only for him, but for his friends and his family. They really rallied around him with the snowmobile racing as they have rallied around me for the business." When Brotz started, she showed off her products at home parties to keep expenses down. After some time making products out of her farmhouse kitchen, she started wishing there was a better way to do it. "I thought to myself, 'If only people could just do it themselves and people could just have it how they wanted,'" Brotz said. "And that was my lightbulb moment." Customers who come in now can approach the kitchen area, with its assortment of more than 150 fragrances and lip balm flavors – butterscotch, gummy bear and pomegranate, just to name a few — to craft their own beauty products. The community took to the natural products and DIY-nature of the business, and Brotz eventually thought it was time to expand the business. While she toyed with the notion of opening more locations and expanding into the Milwaukee area, she eventually decided to offer her products online. That exposure, Brotz said, was most certainly the right decision. As her product's grew in popularity, Brotz was noticed by another Sheboygan County entrepreneur, Kim Jakum, who runs MetalMorphis jewelry out of Elkhart Lake. She saw Olivu's products and pushed her to join the Artisan Group, a collection of artists who market their handcrafted products to the entertainment industry. Brotz was accepted to the group and quickly nabbed her product a rather high profile placement in the bags of Emmy nominees and media. Since then, it's been a whirlwind of media and orders for Brotz. She is now expanding her business space upstairs, so there's more room to make products in time for the Christmas rush. Even with the changes, Brotz still has reminders of how she got here. Gleefully pointing out the original box of lip balm is Sandra Muesegades, Adam's mother, who works for Brotz. Brotz describes their relationship as one between a "mother and daughter" and notes that community support – and that of her staff – has helped create the success she enjoys today. Muesegades said she feels blessed herself, as she pointed to a glass angel perched on one of the cabinets, in memory of Adam. "I view Caitlin as a gift from our son," Muesegades said. "She's the kind of daughter I never had." She beams with pride afterward, mentioning that Brotz is the first woman in her family to go into business for themselves. Soon enough, Brotz will have a reminder of that as well – her father is giving her the desk that her grandfather used for her new office. "We're trying to figure out how to get it up here," Caitlin laughs. "But it's an honor to have that piece of legacy to be able to follow in an entrepreneurship." Olivü 426 feature on HuffingtonPost.com! Someone needs to tell Caitlin Brotz that she could get a lot more than $12 for the anti-aging face serum she developed from pomegranate, blackberry and carrot seed oil. After all, the big guns -- the Lancomes, the Crème de la Mers and the La Prairies -- charge up to hundreds of dollars per ounce for their anti-wrinkle creams. "I always have to chuckle at their prices," says the 30 year-old creator of Olivu 426, an all-natural beauty products business she runs from a small storefront in Sheboygan, Wis. "I know exactly what goes into their products and the mark-up is insane. And I know we could get a lot more for our products, but I chose not to go that route." But don't let the meager price tag fool you. "The reason our anti-aging products make up a good 30 percent of our business is because they work," Brotz says. "We make everything fresh daily and use nothing but all-natural products." MARCH 17, 2012 - SHEBOYGAN Emmy Fink and the Discover Wisconsin crew visit Olivü 426 as part of their "How do you Shebogyan" episode featuring just a few of the amazing things that the Harbor Centre area of Sheboygan offers to tourists both near and far. 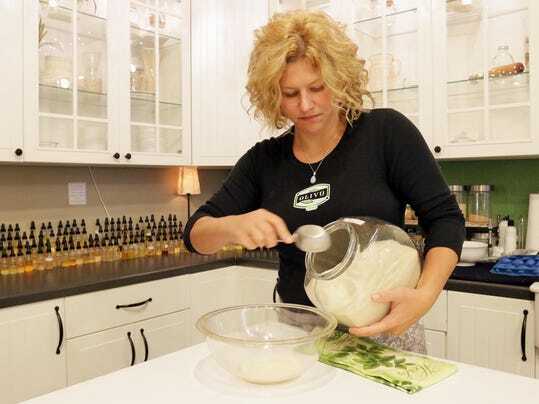 "We were honored to have new Discover Wisconsin host Emmy Fink into the shop where we showed her how to make Lip Balm, Hand-Poured Soap and all sorts of other all-natural Olivü 426 goodies! We had a really fun time and are thankful to everyone on the Discover Wisconsin staff for their time and help with the segment," said Caitlin Brotz, Owner and Founder of Olivü 426. "For those of you who may not be familiar with program or from the Wisconsin area, Discover Wisconsin, is a television program devoted to highlighting great treasures and things to do throughout the state. Each episode showcases different Wisconsin favorites, and this weekend they'll be taking a look at Olivü 426's wonderful hometown—Sheboygan." You may have heard that Sheboygan is the Brat Capital of the World, but we’re guessing that we’ll surprise you with a few things we discovered in Sheboygan. Being on Lake Michigan, sailing is a great way to spend time on the water; but did you know Sheboygan helped bring a new event to the Summer Olympics? If you want to sample Italy, we found the restaurant for you. Ever make your own soap? We’ll show you where. And when’s the best time to surf in Sheboygan – yep, we said surf. If you aren't able to catch the show on your local station, no worries! You can also check out webisodes, pictures and other exclusive content on discoverwisconsin.com, or you can view the full "How do you Sheboygan?" episode online here after the official air date. 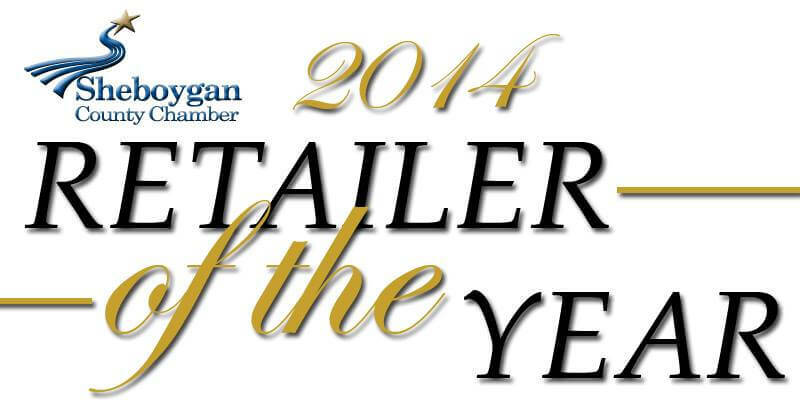 FEBRUARY 20, 2012 - SHEBOYGAN Olivü 426 has been nominated for Retailer of the Year by the Sheboygan County Chamber. “We are honored to be nominated this year alongside other esteemed local retailers including Miesfeld’s Meat Market, TLC Casuals and U.S. Cellular,” said Caitlin Brotz, Owner. As a nominee Brotz will not only be attending the Awards Gala, but will also act as Master of Ceremonies alongside Trent Rammer of Community Bank & Trust. Due to the event’s popularity, the chamber officials will be streaming the event live at www.wscssheboygan.com. Olivü 426 is located at 511 N. 8th St., in Downtown Sheboygan or online at Olivu426.com. Devoted to improving the well-being of customers and the world around us every day, Olivü believes in creating all-natural personal care products that are truly healing, non-harmful and affordable for everyday use. 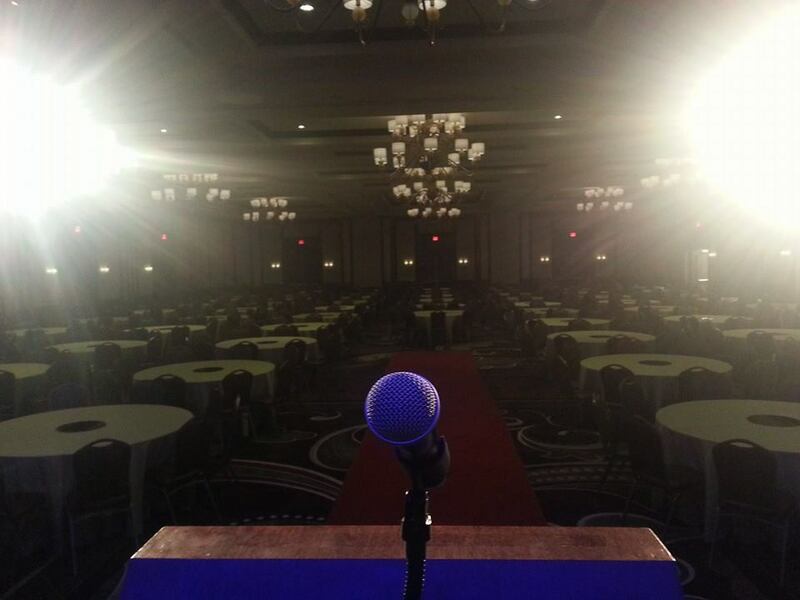 For more information regarding the Awards Gala, call the Sheboygan County Chamber office at 920-457-9491. One of the area's biggest tourist draws and a retailer that's become a huge success in downtown Sheboygan received top honors from the Sheboygan County Chamber of Commerce during an awards ceremony Wednesday night. 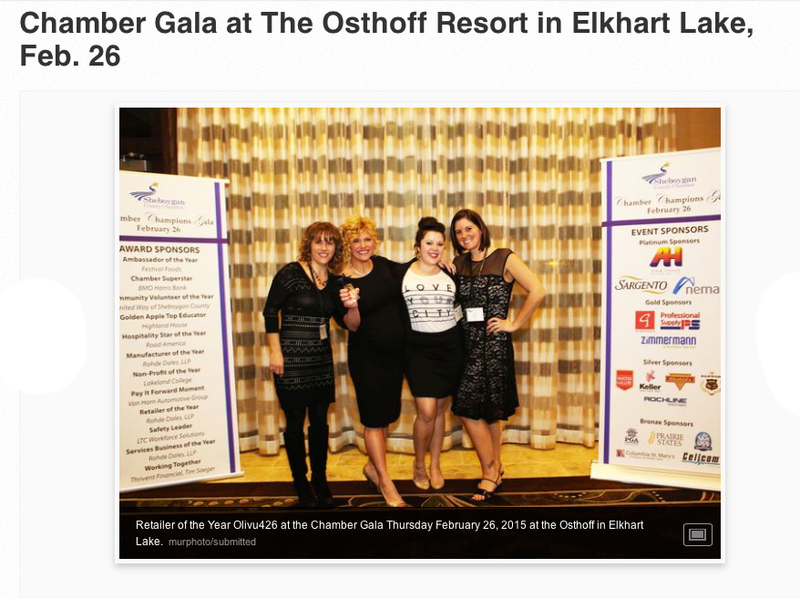 Road America in Elkhart Lake and Olivu 426 in Sheboygan were each named 2010 Business of the Year during the chamber's inaugural "Chamber Champions" dinner and awards gala at the Blue Harbor Resort and Conference Center. A crowd of 352 people was on hand as Road America was recognized in the large business category, while Olivu was honored in the small business category. Chamber officials said the companies were selected for exemplifying the highest principles in doing business. "They make a commitment to their employees, have grown their businesses even in the depths of the recession and they each strive to make a difference in their communities," said Dave Gass, of Rohde Dales LLC, who presented the awards. Road America hosted the enormously successful NASCAR Nationwide Series Bucyrus 200 in June, which attracted more than 100,000 spectators and had a TV audience of 1.3 million people. NASCAR has since committed to hold the event at Road America this summer. "Our staff really dug in deep, and put in a lot of time. We were over-prepared, and we over-performed, and that's why we got them back," said George Bruggenthies, Road America's executive director, after accepting the award.Meanwhile, Olivu sells soap, sugar scrub and other natural cosmetic products at its downtown Sheboygan store. It also does a substantial amount of business online. At night, the store hosts popular gatherings where customers make their own health products under the guidance of Olivu staff. 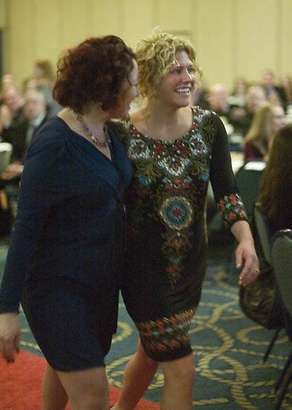 Caitlin Brotz, Olivu's owner, told the audience that she was thrilled to receive the award. "I truly am speechless," Brotz said during her acceptance speech. "I'm going to be jumping up and down for the next week. 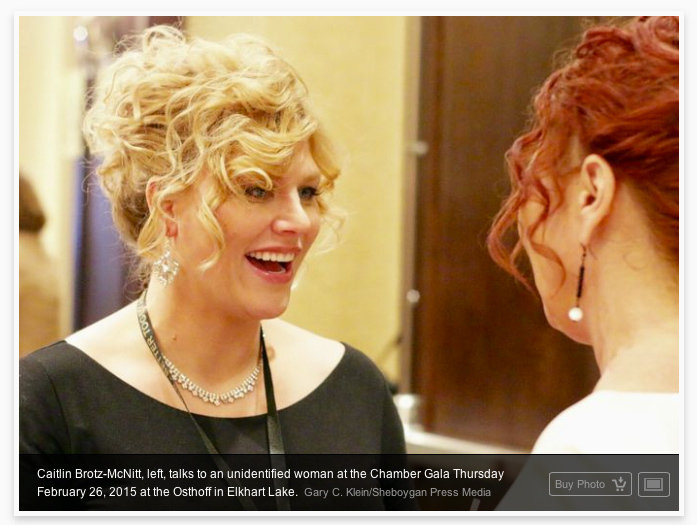 "The event marked the first time the chamber and its members formally recognized their peers for exceptional achievements in the business and non-profit areas of Sheboygan County. Other award winners were: Sheboygan & Plymouth Area United Way (Nonprofit of the Year), Top Chef Elkhart Lake and IRS Volunteer Income Tax Assistance Program (Working Together Awards), Faith Technologies (Safety Leader), Sandy Livermore, Bookworm Gardens (Community Volunteer), Road America (Hospitality Star) and Jim Maxon, M&I Bank (Chamber Super Star). I have seen Caitlin start from the ground with a vision and hope in mind and this is truly well deserved on her behalf. She has worked her tail off since high school to attain such achievement and the award could'nt go to a more deserving person ! Same wishes for Road america who provides great racing, community and family events. Would love to see snowmobile activities at your grounds!! Replying to Revboardshop: She's also one of the few to actually survive downtown also !! Caitlin at Olivu definitely deserves this! Her products are wonderful, she is an awesome person, and a true asset to the entire community. SHEBOYGAN, Wis. (WHBL) - Valentine’s Day is tomorrow, but it’s not too late to get a meaningful gift for that special someone in your life. Good news for those of you waiting until the last minute…that time has come. But if you’re looking for a special gift that shows you care, you might want to venture to downtown Sheboygan and pay a visit to Olivu 426. The charming boutique offers a variety of products ranging from lotions to bath soaps shaped as cupcakes. And the best part? You can customize each product with the color, fragrance and even texture of your choice. Olivu owner Caitlin Brotz says that extra effort will go a long way. Olivu 426 is located at 511 North 8th Street in downtown Sheboygan and the store will be open from 11 A.M. to 3 P.M. Saturday. Olivu owner Caitlin Brotz says making a gift is a satisfying experience.